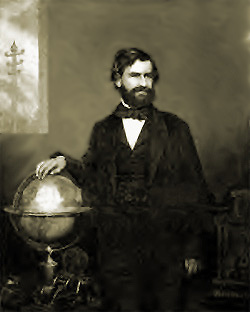 Taliaferro Preston Shaffner , inventor, born in Smithfield, Fauquier County, Virginia, in 1818; died in Troy, New York, 11 December, 1881. He was chiefly self-educated, studied law, and was admitted to the bar, but gave much time to invention. He was an associate of Samuel F. B. Morse in the introduction of the telegraph, built the line from Louisville, Kentucky, to New Orleans, and that from St. Louis to Jefferson City in 1851, and held office in various telegraph companies. He was a projector of a North Atlantic cable via Labrador, Greenland, Iceland, and Scotland, and was the inventor of several methods of blasting with nitroglycerine and other high explosives, for which twelve patents were issued. In 1864 he was in the service of Denmark during the Dano-Prussian war. He was a member of various scientific societies of Europe. Mr. Shaffner published the "Telegraph Companion : devoted to the Science and Art of the Norse American Telegraph" (2 vols., New York, 1855) ; "The Telegraph Manual" (1859) ; "The Secession War in America" (London, 1862) ; "History of America" (2 vols., 1863) ; and "Odd-Fellowship" (New York, 1875).